Having read many books on spiritual gifts, Discover Your Spiritual Gifts is clearly one of the best. In a simple and easy-to-understand manner, Wagner succinctly explains what spiritual gifts are. He teaches on their proper use and exposes ways in which they are sometimes misused. He also discloses danger signs and addresses common areas of confusion. 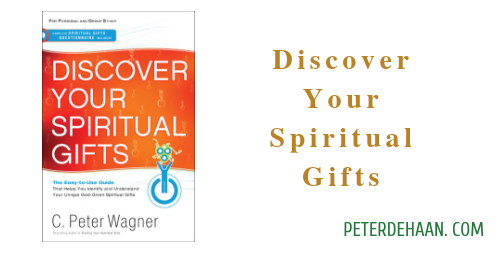 He wraps up Discover Your Spiritual Gifts with practical and helpful steps to discover, test, and verify one’s own spiritual gifts—which are provided to all who follow Jesus. As an added bonus a spiritual gifts assessment is included. A helpful glossary lists and explains each of the spiritual gifts. Aside from Wagner’s straightforward presentation on the topic of spiritual gifts is that his list of gifts is extensive, covering all that are mentioned in the Bible, plus a few additional ones that have been added as a result of his observations. This list of gifts is not expected to be complete or absolute, a fact Wagner confirms using scriptural support. The list of gifts he advances is largely reflected in the spiritual gifts assessment he provides in the book. Unfortunately, when using the assessment, the results were not what I expected and did not fully align with other assessments I’ve taken or my experience in using various gifts. Even so, this book is highly recommended as an ideal primer on spiritual gifts.